The 2004 CBC Massey Lectures, "A Short History of Progress"
Each time history repeats itself, so it's said, the price goes up. The 20th century was a time of runaway growth in human population, consumption, and technology, placing a colossal load on all natural systems, especially earth, air, and water — the very elements of life. The most urgent questions of the 21st century are: where will this growth lead? Can it be consolidated or sustained? And what kind of world is our present bequeathing to our future? In A Short History of Progress Ronald Wright argues that our modern predicament is as old as civilization, a 10,000-year experiment we have participated in but seldom controlled. Only by understanding the patterns of triumph and disaster that humanity has repeated around the world since the Stone Age, can we recognize the experiment's inherent dangers, and, with luck and wisdom, shape its outcome. Ronald Wright was born in England, educated at Cambridge, and now lives in British Columbia. A novelist, historian, and essayist, he has won prizes in all three genres, and is published in ten languages. His nonfiction includes the number one bestseller Stolen Continents, winner of the Gordon Montador Award and chosen as a book of the year by the Independent and the Sunday Times. His first novel, A Scientific Romance, won the 1997 David Higham Prize for Fiction and was chosen a book of the year by the Globe and Mail, the Sunday Times, and the New York Times. His latest book is the novel Henderson's Spear. Ronald Wright is also a frequent contributor to the Times Literary Supplement, and has written and presented documentaries for radio and television on both sides of the Atlantic. 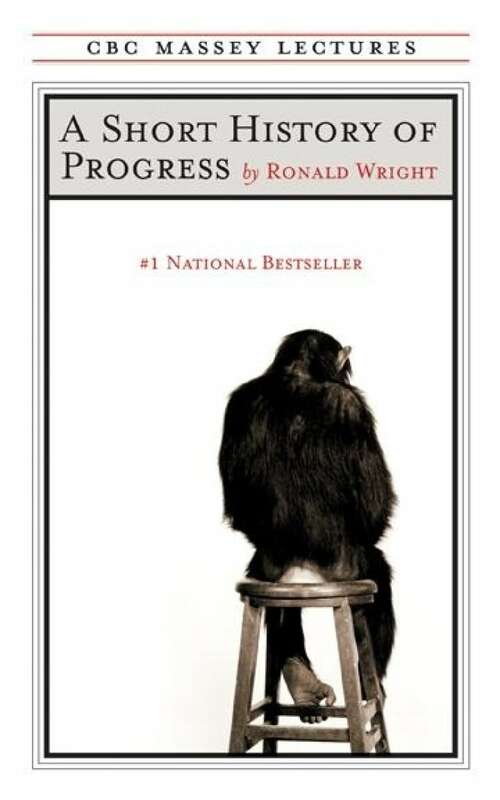 A Short History Of Progress is published by House of Anansi.